NYT and WSJ bestselling author Charlene Li guides business leaders deeper than ever before into the uncomfortable and ever-changing terrain of the digital era Technology has revolutionized the very idea and nature of relationships between leaders and their followers. Yet, many leaders remain stuck at arms-length from those they lead and serve, relying on specialized teams to interact with customers, their direct reports to keep tabs on how employees are doing, and on the digital natives in their organization to stay abreast of new technologies. 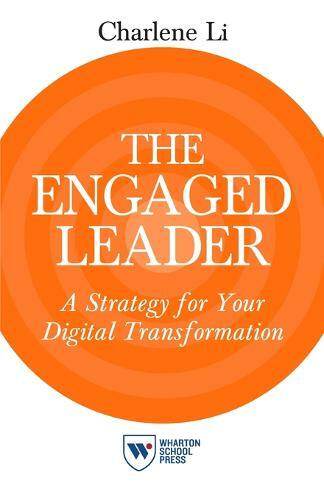 Now, in The Engaged Leader: A Strategy for Your Digital Transformation, Li helps leaders adapt to the demands, and opportunities of digital leadership. To be a true digital leader requires a metamorphosis: you must connect directly by listening, sharing, and engaging using digital technologies. This metamorphosis is not easy, comfortable, or painless--if your palms aren't sweaty or your stomach isn't churning, then you probably aren't really practicing digital leadership. The Engaged Leader addresses why leaders need to master a new way of developing relationships, which begins by stepping out of traditional hierarchies; how to listen at scale, share to shape, and engage to transform; the art of making this transformative mind shift; and the science of applying the right tools to meet your strategic goals. This transformation is not optional. Those who choose not to make this change will be abandoned for those who inspire people to follow them. The Engaged Leader provides leaders with the skills and confidence they need to transform their leadership, and in turn, their organizations. The Engaged Leader also provides guidance to institutions--businesses, communities, and schools--on how to develop and nurture digital leadership. It is a must read for anyone who values a deeper connection between leaders and those they serve.